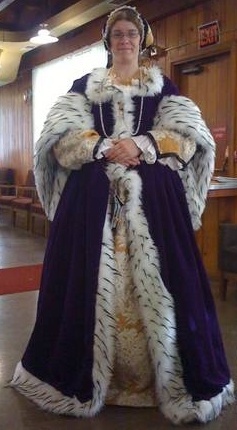 There is one voice synonymous with The Abbey Medieval Festival – our Herald, Sir Blair Martin. The man with a magnificent memory, voice and presence, Blair has brought style, panache, grandeur, elegance, flair and his unique presence to the Festival for the last 14 years, and it is in this, his 15th year, we want to celebrate the special part he plays as our Master of Ceremonies. When Blair joined the Festival team he brought with him a love for knowledge and a personality bigger than Ben Hur. A veritable walking encyclopedia, Blair has the ability to come up with discuss any topic without faltering – perfect for bringing a voice to microphone-less re-enactors and performers. 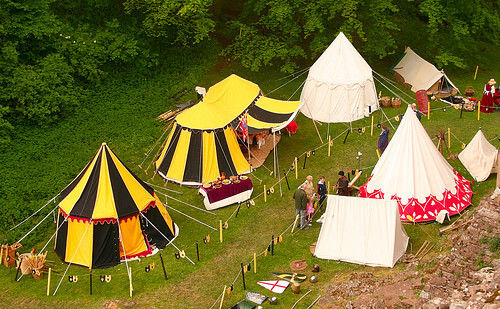 His is a presence to be found in all aspects of the Abbey Medieval Festival. From our Banquet to the Jousting to the Parade spectaculars of the Tournament, the quintessential skills and talents have entranced and gladdened the hearts of our patrons over these last years. We wish you a magnificent Birthday Sir Blair – may there be many more! 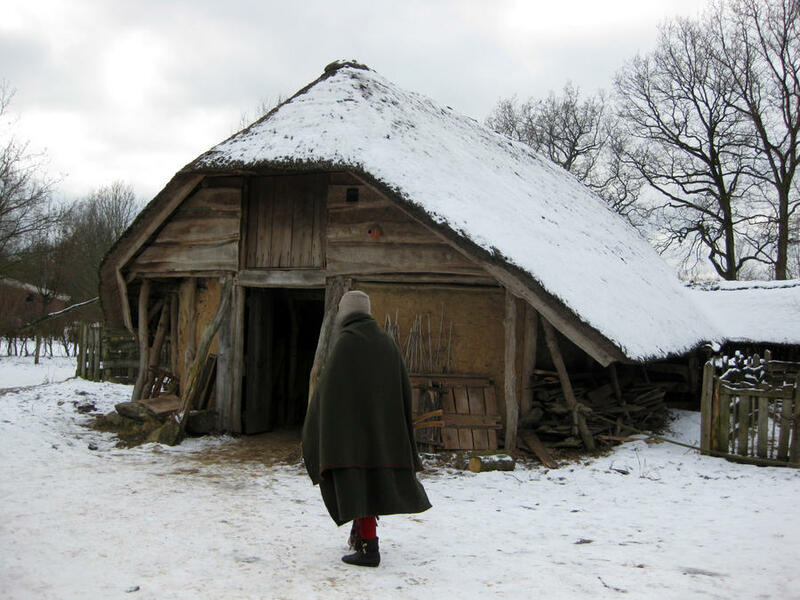 Winter is Coming – and how medieval people dealt with it! Here in sunny Queensland one could argue that it never gets very cold during winter, so what did those who were in seriously cold winters wear to stay warm and survive? Some might argue that they simply didn’t keep warm! Houses weren’t warm as they are now, as heating wasn’t very effective, and tended to smoke up the house. People tended to wear lots of clothing, as the cold inside could be the same level of cold as outside. 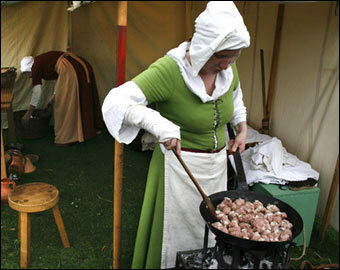 For the lower classes, the outer layer tended to be made of wool, with the under layers made of linen. These linen garments were washed occasionally, but it was unusual to wash the woollen layers. The smoke that was almost a constant feature from the fires seemed to permeate the outer layers and act as a sort of deodorant, to help stop everyone becoming too smelly. Cloaks, mittens and woollen hats were also worn to keep warm, but shoes were often a luxury! Imagine not being able to afford shoes in snowy weather! 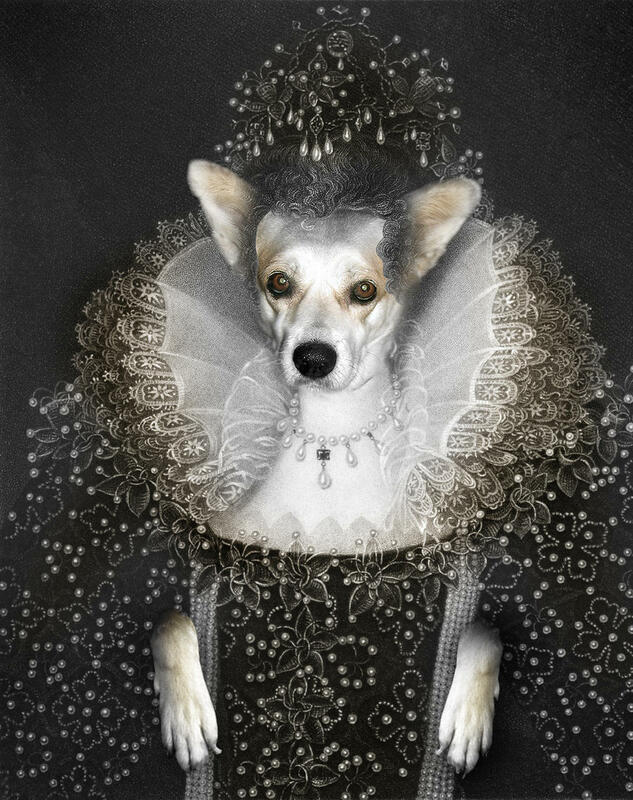 The wealthy were able to line their clothing with fur to keep warm, a luxury the poor could never afford. 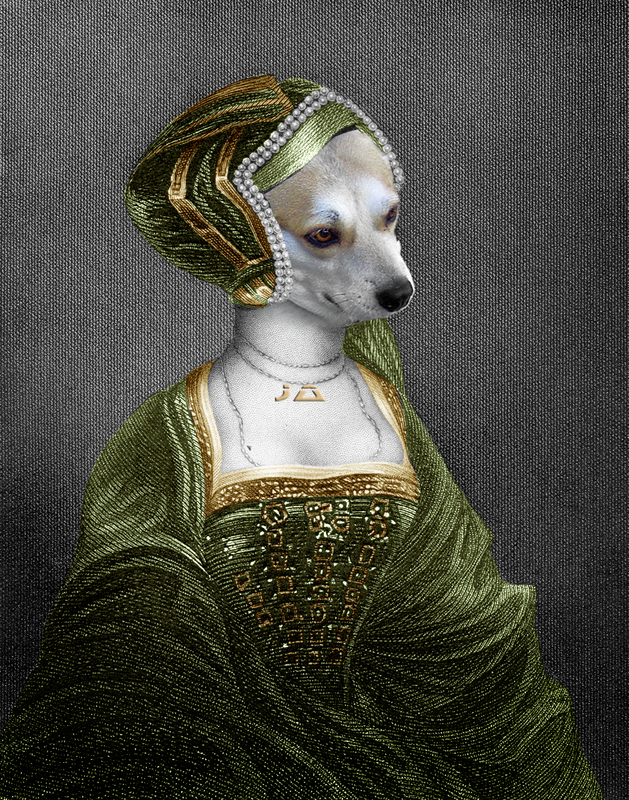 The use of fur was covered by Sumptuary laws, which governed who could and could not wear particular fabrics, veils, and other things like that. Even who could eat what! Farm families typically lived in a cottage which had one big single room, in the middle of which would be a hearth for the fire. Above the hearth was a hole in the rood for the smoke, and ‘hanging chimneys’ may have been used to help guide the smoke. The windows in the cottage were usually also unglazed, which led to houses and cottages being rather draughty and chilly. Wealthy families were better off though, as they had less draughty building and more furnishings to trap in heat. The personal attendants of the lord and lady were sometimes able to stay in their sleeping quarters, wrapped up in a blanket on the floor where they could absorb some of the heat from the fireplace. 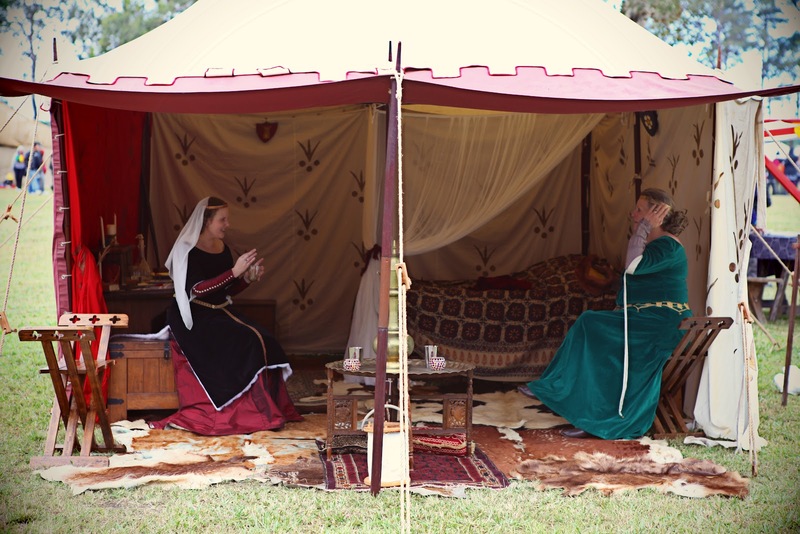 The lord and lady, and their families, also had heavy blankets, feather mattresses, fur covers and wall tapestries to help block out breezes and the cold, and those with four poster beds were able to use the heavy curtains to trap in heat to keep even warmer. Wonderful people needed to Volunteer! Thank you to those of you who HAVE registered for this year!!! We currently have about 150 volunteers registered but need another 150 to make the Festival go off!! Please register now if you are planning on helping this year! CLICK HERE TO LOOK THROUGH THE ROLES, DATES AND TIMES AVAILABLE. (To get to this specific information, just scroll down once you get to this page.) It is a good idea to note the preferred roles and times on a sheet of paper ready for Registering. CLICK HERE TO REGISTER FOR ANY ROLES AND TIMES YOU WOULD LIKE TO BE ROSTERED. Please put AS MUCH information as possible when listing your preferences and the times you would like to be rostered. This makes it easy for us to meet your preferences. Please have a tape measure with you when you register to enter in your correct measurements for your costume. WE WOULD LOVE TO HAVE AS MANY VOLUNTEERS REGISTERED BY THE END OF MAY SO WE CAN ORDER SPECIAL VOLUNTEER T-SHIRTS & TO ENSURE COSTUMES ARE ALLOCATED FOR EVERYONE.